Actually I am talking about me, not Trump. In this post, I will tell you about the ventures we’re creating content for. Many of you wonder why I post, in addition to news, stuff on travel, healthcare, and cryptocurrencies. Many of you ask why I don’t do news coverage on my sites full-time. Although it would be tempting, I can’t figure out the revenue side. Plus, I want to show you that no matter what you do for work, I believe, as a citizens of the United States you are responsible for being informed. So, I try to teach methods to do that. These projects, as you will see, are so ground-breaking and disruptive that I hope you will join us. But I think you will also see the connection between all of them that also ties into my news philosophy here. Plus, you will probably better understand my bias which is an inclusive, forward thinking, free-market economy that can be achieved with technological advances. Lastly, I want you to see that I just don’t work for or join a venture based only on making money. I have to believe in them and their worth for others. This the newest project. It is still in launch phase so I can’t mention the name. We have already started producing content for the roll-out. You will see plenty of iPhone videos soon. This is an international, direct sales company based in Asia but open to North America, Europe, and South America too. This will allow anyone to have a home-based business either full-time or as a second job. Is it network marketing? Yes and no. You can join and work it as an MLM. But you can also join as a distributor, creating your own retail store. For instance, you will have the chance to create your own online furniture and interior design business. The company has secured major wholesale deals across the furniture industry. Why furniture? Go out and price furniture and mattresses at a local retailer. You will see incredible, some would say gouging, mark-ups. The industry is rife with hucksters. Being a distributor here will save you, family, and friends a ton of money while making money for yourself. And there is a network of warehouses in the US that should be near everyone. Not into selling furniture? You have access to other big ticket items like purses, jewelry, shoes, travel, and one other thing. And this is what makes this company so unique and disruptive. The underlying foundation of the company is its cryptocurrency and remittance platform. This allows members to avoid the headaches of so many countries’ currencies so you can easily send money without the high fees or when you buy things. And members can get commissions on people using the remittance platform. First, this is an opportunity with a built-in economy. Second, the company behind the venture is well-established, working on this for a number of years, and well-funded as a publicly traded company. Too many start-ups – 95% in some estimates – fail because they lack funding, experienced management, and no infrastructure to support members. 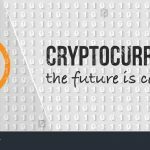 Third, cryptocurrency is the future of money. Many of you, especially in the US, need to learn about it. Here is a great book to get you going. It may be confusing at first. But once you grasp it, you will see the benefits to the world economy. Are there some perils and problems? Sure. Still, it is where things are going. Another concept that is hard to understand is medical cost sharing, an alternative to health insurance that is gaining so much momentum. In 3 years of working with Liberty HealthShare, we have seen it grow from zero to more than 130,000 members. 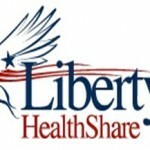 We provide video, radio, and spokesperson content for Liberty HealthShare. And we will be even busier as Congress begins to dismantle or change Obamacare. 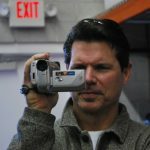 You will see me hosting plenty more live-stream TV shows and nationally-syndicated radio shows. We will be explain exactly what Liberty HealthShare offers. It is difficult to understand because it is not insurance. And insurance has been in place for decades. 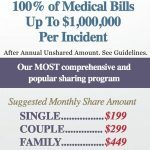 Simply put: Liberty HealthShare members come together and share each other’s medical bills based on agreed beliefs. I see any doctor I want. I am increasing my health and well-being for now and in the long-term. More importantly, family and friends that have joined have had life-threatening medical incidents taken care of as other members have shared in paying those bills. Listen to my friend Donna here. Here is the legal jargon. Liberty HealthShare is a 501c3 healthcare sharing ministry. It is allowable under the Affordable Care Act which means members are exempt from the fines and penalties for not having insurance. It is open to anyone in the United States. And we accept pre-existing conditions. If you are interested, enroll here. Or call this number for more information: 888-616-9443. 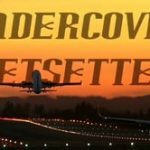 Last but not least is Undercover Jetsetter, our TV show on travel, food, wine, spirits, and golf that is shot on the iPhone. We are going to step up the visibility of the show. We plan to be on many platforms with a wide variety of content that will accommodate TV but also online viewing. Not only will we take you to different spots around the world, but we will share secrets and tips on how to enjoy and save money. We have also stepped up our content for restaurants, wine and spirits, while giving you recipes you can use at home. We think you need to be a jetsetter even when you are home. 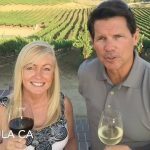 Plus, we are also showing off some of the products we sell like: Jetsetter Deals on travel; oak sticks from Time and Oak; our wine club; and our partners like Worldwide Golf Marketing. Isn’t that a lot more fun than only watching White House news conferences?